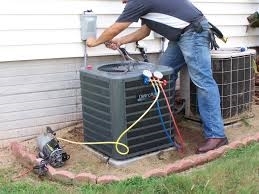 The cost of installing an HVAC system ranges between $9,200 and $12,300. This includes laying a new duct work. If your ducts are in good shape and do not need to be changed then the cost will be less by $2000. The whole job of installation takes 2 to 3 days to be accomplished. Many people these days are opting for greener sources of energy. Geothermal heat pumps have become very popular around the country. They suit all climate-types of the US. However, the prices and installation of these units are a bit towards the steeper side. The price of geothermal heating system varies depending on the type of loop system, usually either vertical or horizontal. 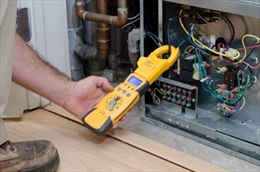 On an average, a typical home of 2500 square feet, with a heating load of 60,000 BTU and a cooling load of 60,000 BTU will cost between $20,000 and $25,000 to install. This is almost double the cost of a conventional heating, cooling, and hot water system. But this cost will be offset by cuts in utility bills that could go up to 70%. Moreover federal government offers a tax benefit of 30% with no limits for installation of these units. Disclaimer: Although the rates quoted in the page are typical average rate that can be seen across USA, it can vary in certain areas depending upon city and the variables associated with each individual project.